The school council consists of two children from each class in year R, 1 and 2. We believe that the School Council will help to make our school community an enjoyable environment which encourages children to grow in self-esteem. The new School Council were elected in October 2018. They are looking forward to their new roles. See School Council Newsletter 1 2018-2019 - October 2018 where they introduce themselves. December 2017 ~ School Council collected £417 from the Christmas performances to buy food for the Foodbank. They had a great time shopping at Asda and delivering the food. 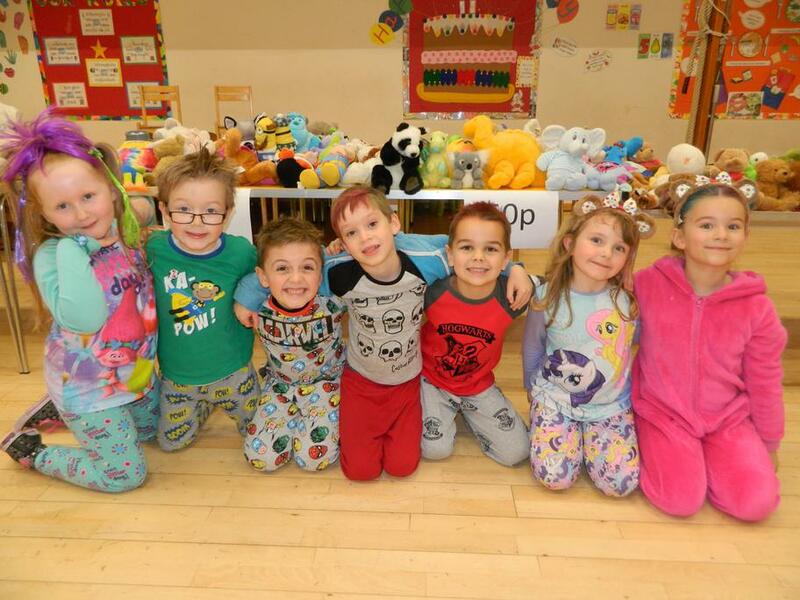 November 2016 ~ ​School Council held a Children in Need Teddy Bear sale in school and raised £100. Thank you for your support. 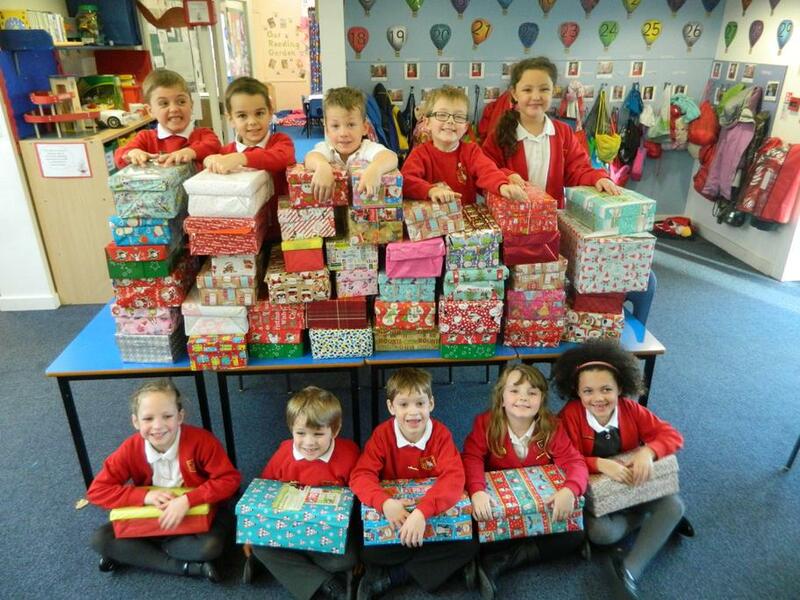 December 2016 ~ School Council decided to raise money from the Christmas performances to buy food for the foodbanks in Basingstoke. They raised £396.70. They also helped to load up the Operation Christmas Child parcels for them to be delivered to other less fortunate children.